Students of today live in an interconnected, diverse, and rapidly changing world. Emerging economic, digital, cultural, demographic, and environmental forces are shaping young people’s lives around the globe, and increasing their intercultural interactions on a daily basis. This complex environment presents an opportunity and a challenge. Young people today must not only learn to participate in a more interconnected world, but also to appreciate and benefit from its cultural differences. Developing competencies to operate effectively in this new global context is a process – a lifelong process – that education can shape. As a young Chinese woman who studied in the UK and received leadership training in the United States, being a global ambassador is now in my blood. Many young people like me are eager to take on this role, and the best way to achieve this is to learn by doing. I was inspired to establish a start-up following a trip to Yokohama, Japan in May 2017, where I attended the Asian Youth Forum as part of the Asian Development Bank’s 50th anniversary. 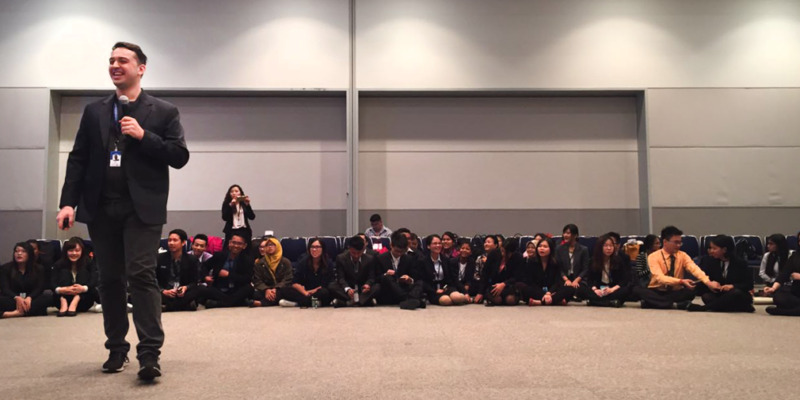 Over the course of three days, 200 youth delegates from 30 Asian countries worked in groups to discuss the UN’s Global Goals. At the Asian Youth Forum in Yokohama, Japan, May 2017. Despite the participation of 15 representative delegates from China, the absence of the Chinese youth voice among the delegates surprised me. When I inquired with working groups about the contributions from the Chinese delegation, there were participants who noted a lack of active participation from a Chinese delegate, possibly because she lacked the confidence to express herself. The Chinese delegation had been assembled from the best universities in China, yet it appeared they were challenged in areas of intercultural skills, teamwork, confidence, interpersonal communication, and to an extent, international identity. Our education shapes us, and I believe the Chinese system needs to prioritize soft skills training to coach youth to be better global citizens, cultural ambassadors, and leaders in a rapidly evolving world. 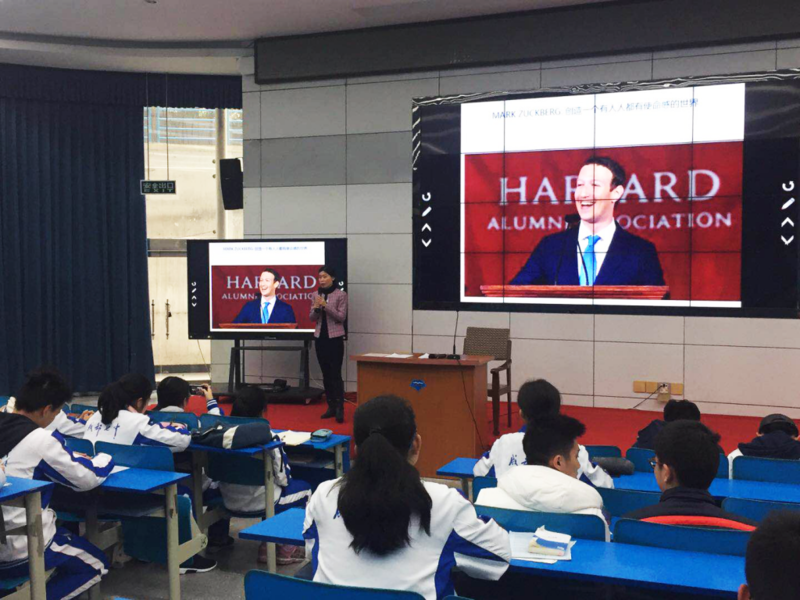 Our education shapes us, and I believe the Chinese system needs to prioritize soft skills training to coach youth to be better global citizens, cultural ambassadors, and leaders in a rapidly evolving world. Beyond academics, Chinese youth often need support in expanding soft skills to facilitate their increased participation in international communities. While our traditional education system is extremely textbook-oriented and exams-driven, students often emerge from academia lacking important life skills. The Chinese economy’s meteoric ascent comes with tremendous responsibility. In order to represent the new generation, Chinese youth will share the responsibility for the social innovation that will bring the global community closer to solving our greatest challenges. However, this has not traditionally been a part of China’s educational curriculum. How might youth have an opportunity to develop critical leadership skills by working to solve social problems? Fortunately, positive change is happening. China’s Ministry of Education and the Beijing Normal University published a 2016 report entitled the Core Competencies and Values for Chinese Students’ Development. 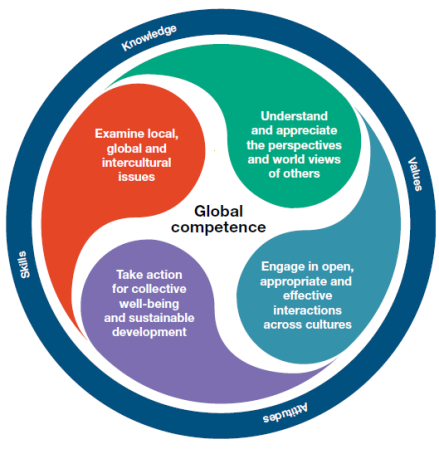 The declaration asserts that to develop students’ core competencies and values, the qualities of social responsibility and global competence are paramount. Some prestigious schools are following the Ministry’s proposed framework. I was invited to speak about leadership at the Chengdu No.7 High School, one of best schools in Chengdu, southwest China. Talking to the teacher, Miss Du, who supervises the leadership club, she told me students who participated in experiential, project-based activities that address social issues really developed their soft skills such as problem solving in teams. Jia speaking to students at the Chengdu No. 7 school. Participating students in the club also earn credits, to earn admission into a cultural exchange program to Hong Kong held each year. What impressed me a lot in my visit was the presentation made by three students who, for their social impact project last year, collected and recycled pencils across their campus to minimize their environmental impact. It was through the project that they applied for a national high school students competition for social innovation, and they reached the top 10. Seeing all the young faces in schools, I can’t help but think about the two competing student experiences. The first one of passionate and charismatic youth standing on the stage to send messages of social progress, and the second, of the rigorous academic pressures that leave little time to spare outside of cramming for exams. The combination of my personal experience and an understanding of current trends led me to concrete action toward engaging Chinese youth in international communities for a better world. By providing knowledge and opportunities for youth to learn and lead in international communities, they can create purposeful partnerships and break important boundaries to advance quality education and other Global Goals. Co-founded with two Chinese colleagues, Engi.NEW.ing was officially established in Jan, 2018, in Chengdu as an international education and leadership company that provides Chinese youth with training in English and leadership, and provides cognitive improvement. We aim to educate for global competence, and to prepare Chinese youth to contribute to social progress. We achieve the above goals through soft skills training. The English program helps young people to effectively communicate; mentoring builds self-awareness and helps youth explore what drives them; and the leadership program will, among other goals, prepare individuals to identify opportunities for overseas fellowships, exchange programs, and volunteering. In the short term, Engi.NEW.ing customizes individual programs for teenagers and college students. 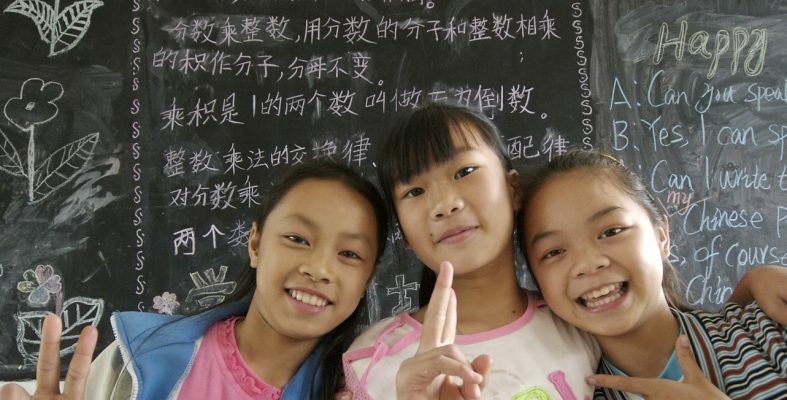 Recognizing that many young people in China cannot afford extra-curricular and intercultural opportunities, Engi.NEW.ing aims to form high-level partnerships with schools to integrate our programs into standard classroom curricula and further develop exchange programs with scholarship opportunities—both virtually and in person. Meanwhile, preparatory programming promotes experiential activities for young people to address local issues such as poverty and quality education. So many youth wish to make a positive social impact and we just need to provide them with sufficient knowledge and tools. As a new entrepreneur eager to affect positive change, I aspire to create key connections between the private and social sectors, both at home and abroad, to mobilize young people to engage for the betterment of the future. I envision more and more young Chinese developed as global citizens and leaders through global engagement in the next 5-10 years. We must accomplish this, to assume the role the world expects from China, and to take responsibility for our own footprint and for our collective impact. Feature image courtesy of Brian Yap.